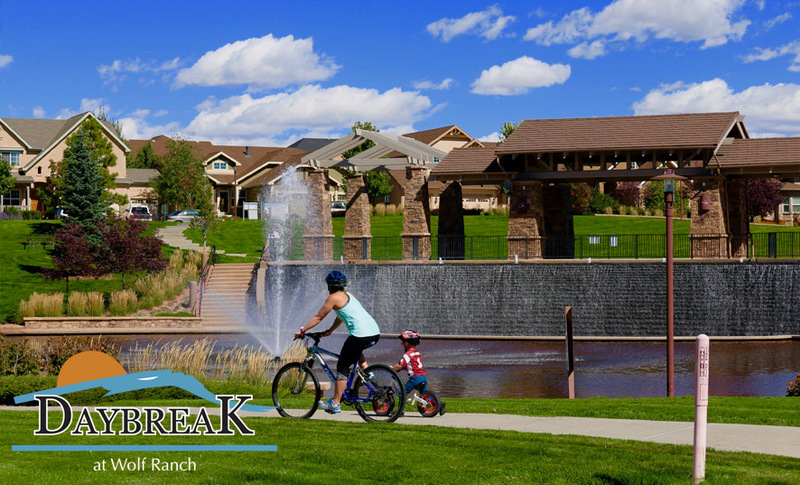 Be a part of Wolf Ranch’s most desirable community– Daybreak at Wolf Ranch. Voted “Best of the Springs” for four years in a row, Wolf Ranch is the place to be! Low Maintenance living, Main level master and Ranch plans, outdoor rooms and courtyards, three car garage choices and majestic views of Pikes Peak and the Front Range. Discover our beautiful Terraces, Bellagios, and Courtyards at Daybreak and you will find a Better Way of Living. Multi-Generational, Main level master, ranch, and traditional two-story homes all with landscaping maintenance and snow removal included in the dues!